It's been a mad mad week and just a week left before I'm off to my holiday to India and I still have sooo much to do. 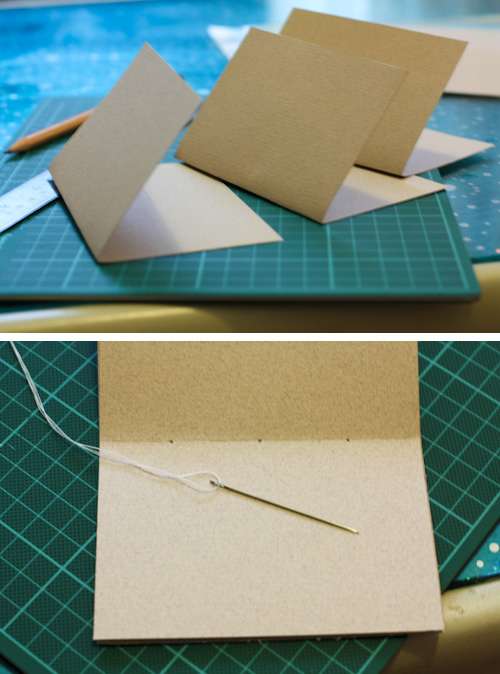 So as part of the course I'm doing on creating an artist book using hand printing and basic book making & binding techniques, we were taught how to create a very basic three-hole binding technique that I used to create my very first book. It's quite simple but the results that come out are fantastic. I think the toughest part is to cut the paper precisely because even a millimetre off can look quite shabby. 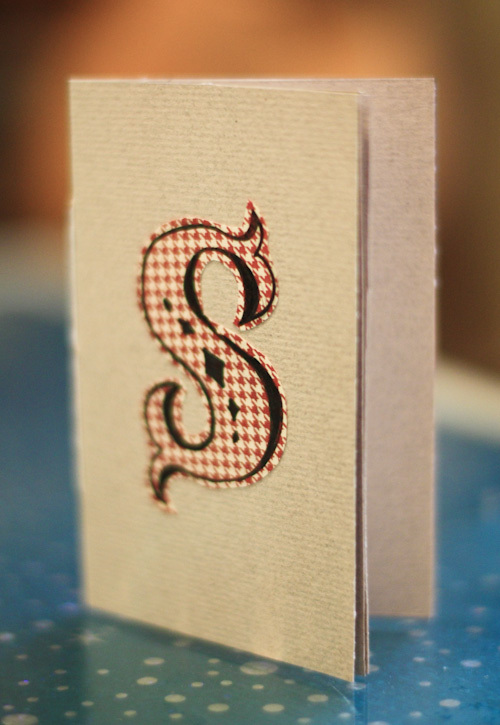 I decided to bling it up with this hand-drawn, hand-cut type S and send it as a present for my blogger friend Serena. Hope she likes it. Ever since I attended the rubber stamp carving workshop at The makelounge with the amazing artist Louise Best, I've been pretty bizzy carving loads of stamps for my Etsy shop and have been happily creating wrapping paper to go with all the My Cuppa mugs.